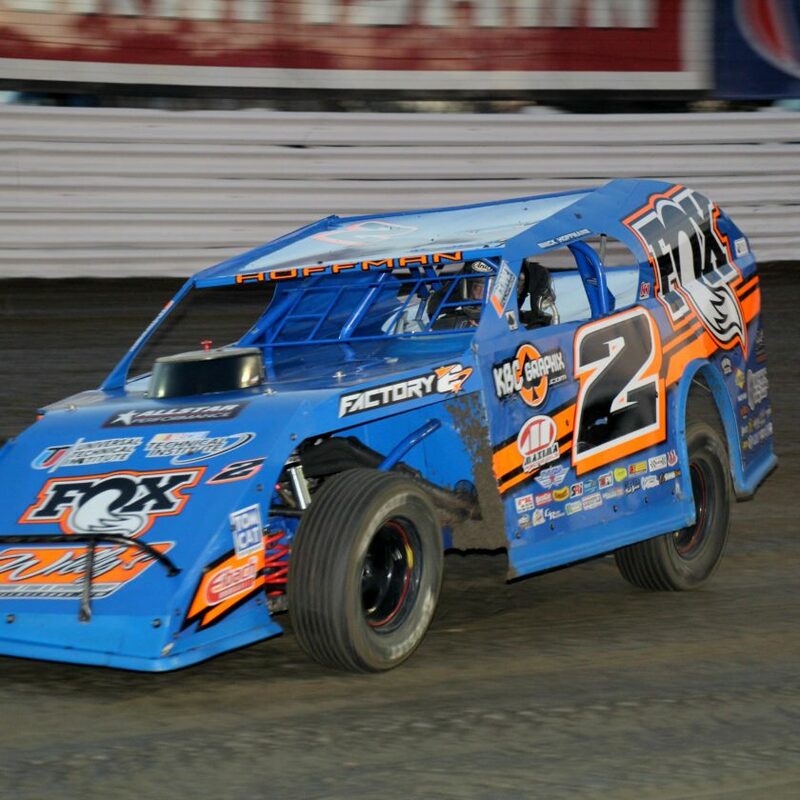 FAYETTEVILLE, TN—The Southern All Star Dirt Racing Series will be making it’s first stop of two in the 2014 season this Saturday night May 17th at the Waycross Motor Speedway in Waycross, GA., for a 40 lap $4,000 to win main event along with a full racing program of Limited Late Models, Super Street, Hobbys and E Mods to make a full night of racing action. The Southern All Star Dirt Racing Series will be making it fourth ever visit to the south Georgia oval as it’s first appearance was in 1993 when Scott Bloomquist of Mooresburg, TN., captured the win, then in 1998 Earl Pearson Jr of Jacksonville, FL., took home the checked flag and the series most recent visit was in 2011when Tyler Ivey of Tallahassee, Fl., scored his career first Southern All Star win. Defending Southern All Star Dirt Racing Series points champion Riley Hickman of Cleveland, TN., will be the driver leading the series into the event as he is currently on top of the series standings after four races, behind the veteran Hickman is two new drivers with the series one with limited touring racing experience and the other a veteran as Dylan Ames of Harvest, AL., is second in points and tied for the Cruise with the Champions/Dirt on Dirt Rookie of the Year title and third place is the touring veteran as Josh Putnam of Florence, AL., has titles with the Southern Regional Racing Series, both will be making their fist appearance at Waycross. Fourth place in series points is Bo Shirley of Gadsden, AL., who came back this year full time to make a run at the title and is off to a good start being in the top five in points and rounding out the top five is another first time series regular as well as making his first visit to Waycross is Chris Wilson of Crossville, TN., who is tied with Ames for the rookie of the year title going into the fifth event of the season. All these drivers are expected to be in action Saturday night. Winner of t he last event at the Talladega Short Track Todd Morrow of East Ridge, TN., will also be making the trip south as well as Joe Armistead of Senoia, GA., Jordy Nipper of Gray, GA., Cale Simons of Albany, GA., Ivedent Lloyd of Ocala, FL., Russell Brown of Jr of Valdosta, GA., Tyler Ivey of Tallahassee, FL., and Adam Giles of Moultrie, GA., just to name a few. 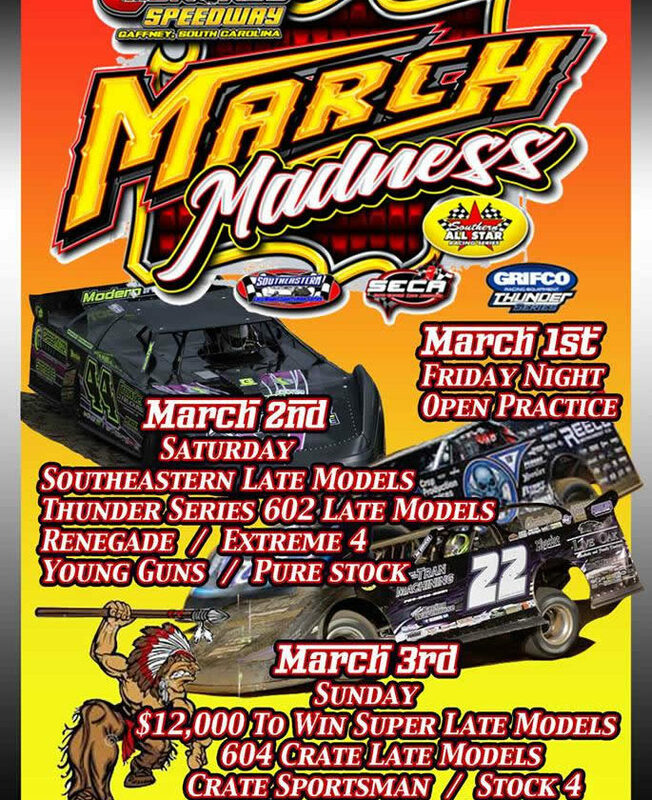 The Southern All Star Dirt Racing Series Super Late Models will compete in White Performance Qualifying, PPM racing Products B Mains as well as a 40 lap feature event. Pit gates will open at 3 pm with grandstands at 4 pm. Hot laps at 6 pm, race time 7pm. Admission is $15 for grandstands, $35 pits under 12 is free. For more information on the Southern All Stars Dirt Racing Series can be obtained by calling General Manager Lynn Acklin at (256) 924-4546, lynn.acklin@sasdirt.com or you can log on to the official series website atwww.sasdirt.com . Also, LIKE the Southern All Stars Dirt Racing Series on Facebook or be a FOLLOWER on Twitter @SASDIRT. Current Southern All Star Racing Series Top Ten Point Standings: 1.Riley Hickman 376; 2.Dylan Ames 320; 3.Josh Putnam 300; 4.Bo Shirley 298; 5.Chris Wilson 288; 6.Jason Hiett 286; 7.Todd Morrow 270 8.Joe Armistead 250; 9.William Thomas 216; 10.Ray Cook 184. *Hoosier Racing Tire “The Official Race Tire” of the Southern All Star Racing Series *Patriot Sports “The Official Merchandise Vendor” of the Southern All Star Racing Series *Sunoco Race Fuel “The Official Racing Fuel” of the Southern All Star Racing Series.